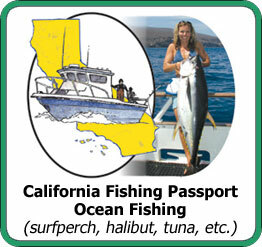 The SFVSF has partnered with CDFW for the Fishing Passport Program and is an official stamping agent — for anyone fishing in Southern California. SFVSF Members are automatically enrolled and will receive a passport as a part of their membership kit. 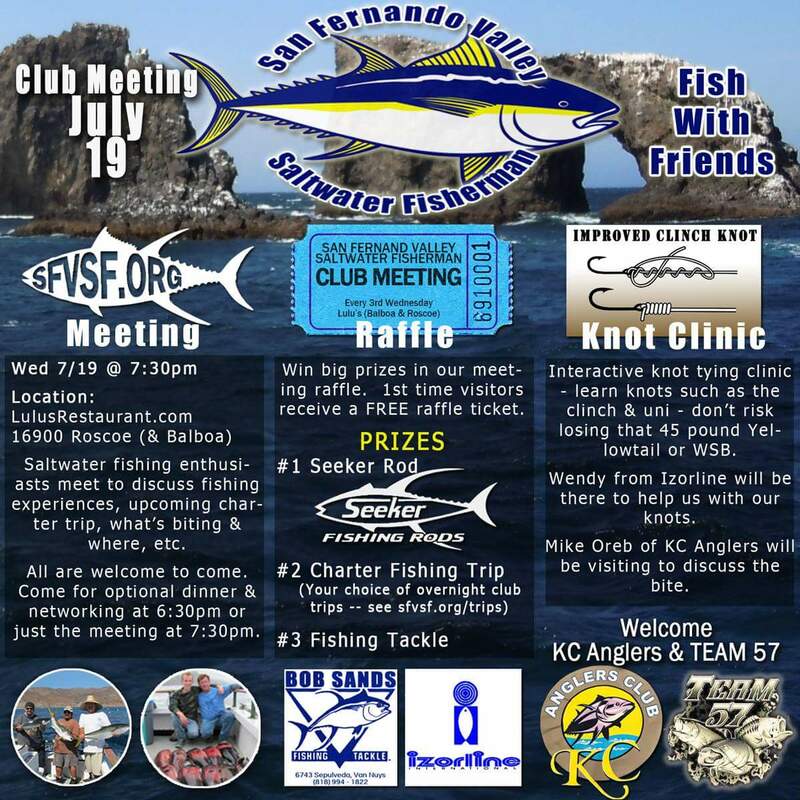 Current SFVSF Members will receive the Fishing Passports as well as Fish Identification Guide at the next General Club Meeting on Wednesday, June 21st. The program includes the passport (receive stamps), workshops, community posting, awards and more. The goal is to introduce recreational fishermen to a variety of species of fish as well as provide information and resources needed to expand their skills. 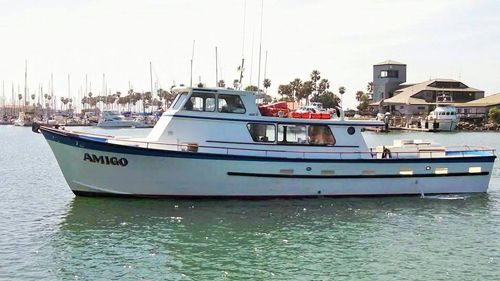 There are California Fishing and the Ocean Workshops available. The workshop for July is closed; however, stay tuned for the next workshop in upcoming months. Fishing license is required, children 15 years and under do not need to buy a fishing license to participate. The kids, crew & volunteer mentors from SFVSF all had an amazing day as evident by the pictures & smiles! The weather was absolutely perfect – it was a beautiful day. 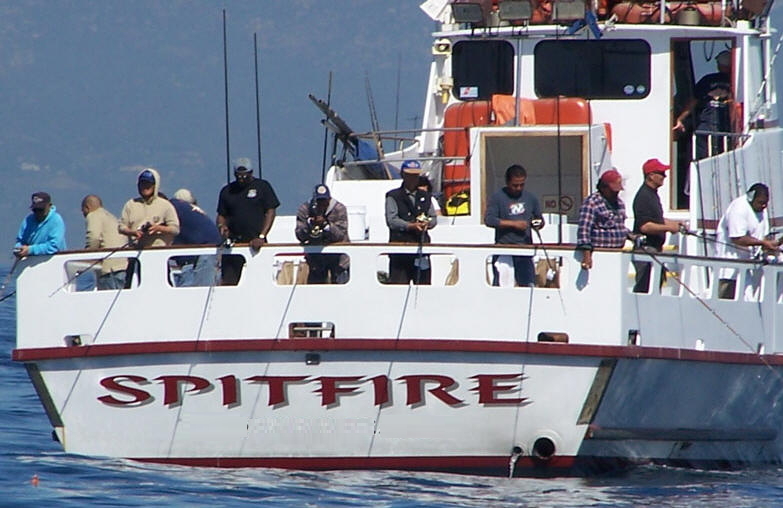 Thank you to Spitfire Sportfishing​ for putting us on the fish, crew for helping all the children with their rigs & to get the fish on the boat and safely into the bags, Michael Herrera​ & the SFVSF for planning a great event, Mike F. Lombardi​ for the great pictures & the volunteer mentors from the SFVSF for their help, support & guidance. Hey! The burgers were great too — all 60 of them — thanks Galley Chef! 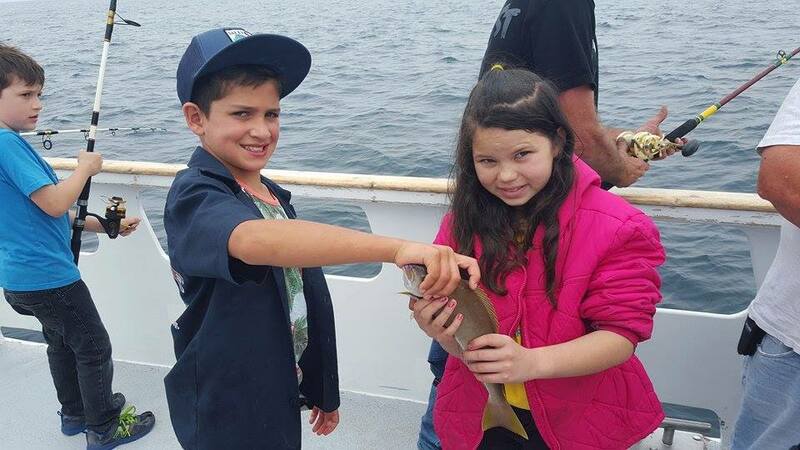 It was a wonderful sight to see the kids eyes light up when they caught a fish … “FISH-ON” — they learned was what to yell out when you have a fish on your line — everyone gathered around and watched as the crew help get the fish onto the boat. I could tell they were learning how to put their bait on, open the bail, close it when the sinker hit the bottom & keep their line tight until a fish hit … and then reel in like crazy — by the end of the trip, they were all little fishing pros! Many of them may end up being future SFVSF members – some would ask about our regular member trips and show interest in going in the future. Why take 60 inner city kids fishing? 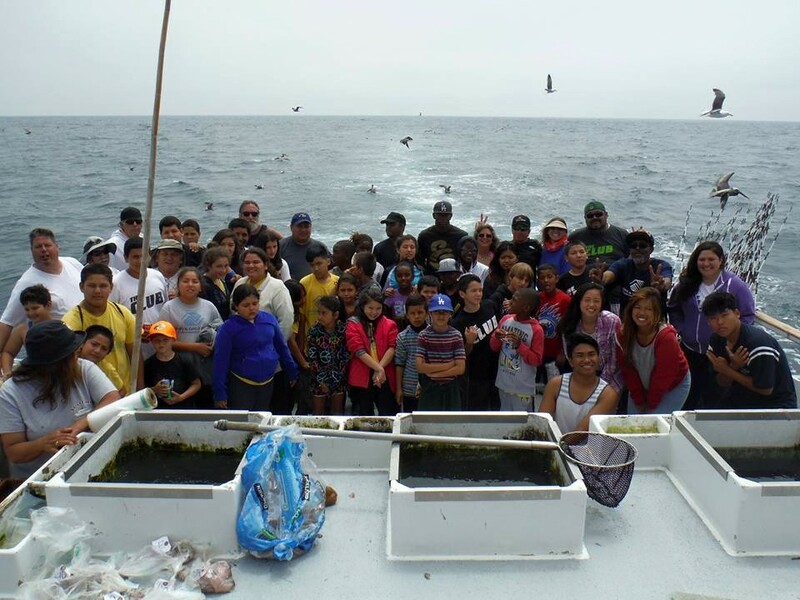 Every year, the San Fernando Valley Saltwater Fisherman, a club consisting of friends who love to fish, host a kids charter fishing trip for underprivileged children in the SFV. Kids who report never having done anything like this before, learn valuable life lessons on our fishing trips. You’ll be amazed at how many areas of their life may improve from the experience of fishing. outdoor adventure, they may otherwise not be able to experience. It may also spark an interest in a future career in fishing, marine biology or coast guard. They may also have the chance to see dolphins, whales or even an coast guard helicopter. Members of the club organize and volunteer to mentor children while fishing and have a great outdoor experience at sea. About 60 under-privileged kids are selected from youth groups from the SFV area. The trip is fueled by SFVSF, it’s sponsors & member donations — including Chatsworth Kiwanis, Chatsworth Neighborhood Council & San Fernando Valley Saltwater Fisherman. Local kids clubs include, SFV Boys & Girls, Canoga Park Boys & Girls, Youth Home in Mission Hills & Local Key Clubs. If you’re a reporter, come fish on us! Yes — we want to take you fishing. Come fishing, learn what it’s all about first hand — and be inspired to report your experience. Call Jared at 818-421-8870 to discuss. Send MORE kids fishing — with your sponsorship, we can send more children fishing. In past years, we’ve chartered multiple boats for the kids trip. Contact us to learn more about sponsorship & exposure opportunities. The boat leaves at 8:30 a.m., if you are going to be on the boat, be there an hour early. Want to get involved? Sponsor or volunteer — we’re currently looking for sponsors to send more kids fishing – click here to express your interest in sponsoring this event. Here are pictures from last year’s trip. That's a really big fish! What are these sacks for? Register here or contact Adrian Cruz for more information. Get signed up for this trip on the Amigo leaving at 9pm. Message me Adrian Cruz to sign up or get more info. The boat should be available to board at 8pm with bunks for you to sleep on. Space is limited — SIGN UP NOW. See attached newsletter for information on the latest events. Also, features related to how to set your drag, fishing licenses, fishing law, bluefin ban, shellfish warning in San Luis Obispo and more. Also, you’ll find the club membership renewal application. Calendar of activities for the remainder of the year. Photos of some happy campers from the club’s last trips. Click below for the latest newsletter. WILL FUTURE BLUE FIN TUNA BE OFF LIMIT OFT THE RECREATIONAL ANGLER? PHOTOS OF SOME HAPPY CAMPERS FROM OUR LAST KIDS’ TRIP. 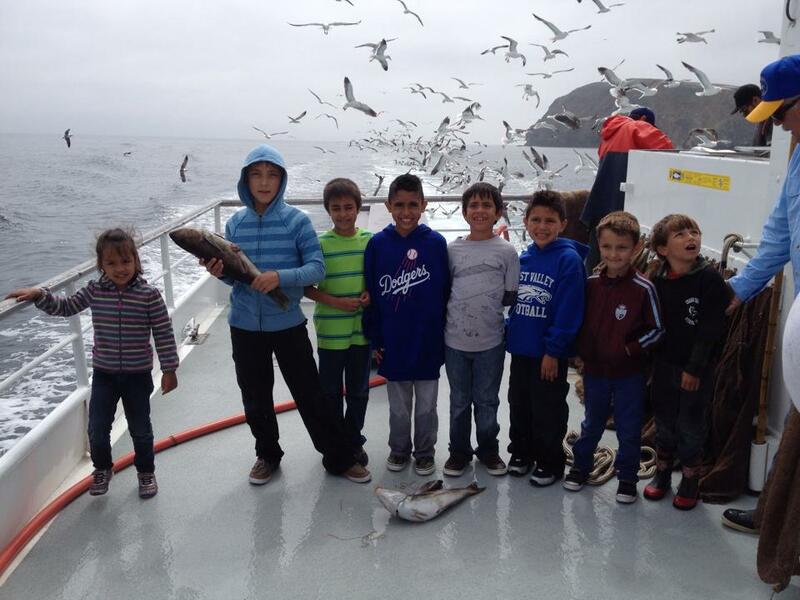 Every year, the San Fernando Valley Saltwater Fisherman host a kids charter fishing trip. 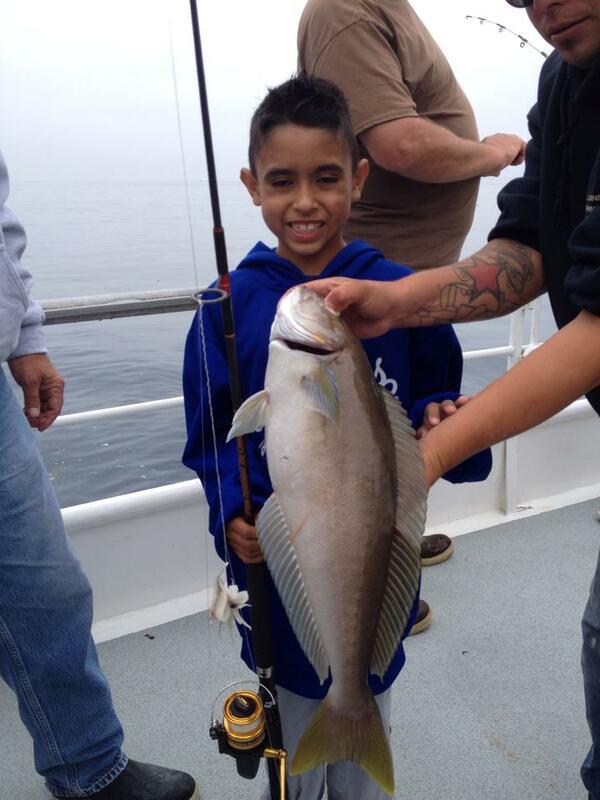 Members of the club organize and volunteer to help the children fish and have a great experience at sea. About 60 under-privileged kids are selected from youth groups around the LA & SFV area. The trip is fueled by SFVSF and donations by members. Want to get involved? We’re currently looking for additional co-sponsors – click here to express your interest in sponsoring this event.